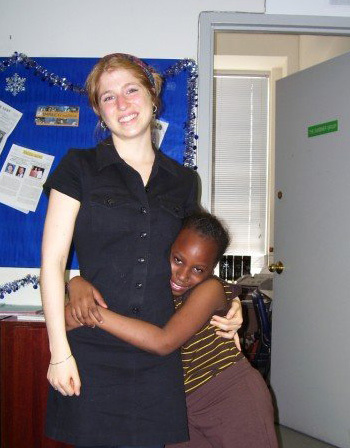 Tess with one of her students in New York City in 2007. I met Tess Posner at the Girls In Tech Catalyst conference in downtown Phoenix. Tess is the Managing Director of Samaschool, a social venture that connects low-income people with tools and opportunities to advance their careers in a digital economy through affordable educational programs. Samaschool, a member of a larger organization called Samagroup was launched in 2013 has since grown to provide programs across the United States as well as Kenya. Their dreams are highly motivated, with a goal of expanding worldwide to see 25,000 students graduate from their programs within the next couple of years. From what they have accomplished so far in a short span of two years, I have no doubts that they will accomplish this. 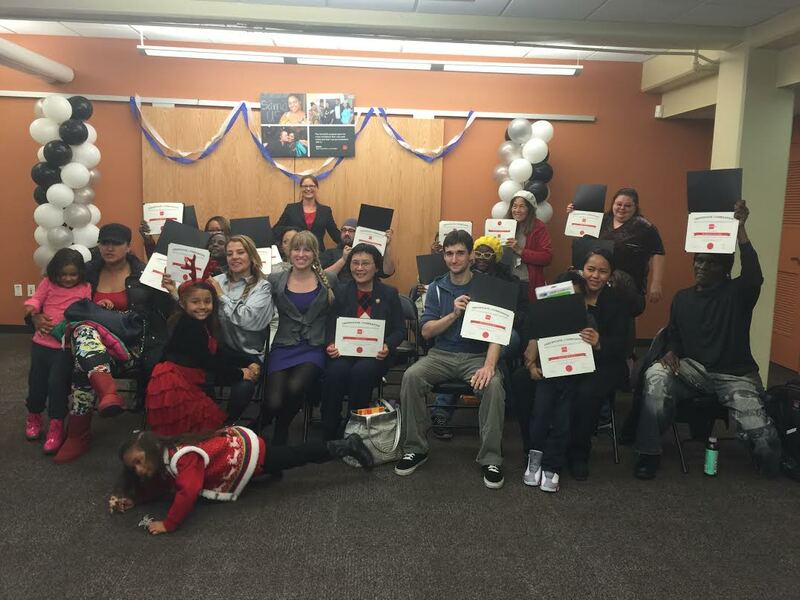 Tess with the very first graduates of Samaschool in San Fransisco. Samaschool saw one of the leading problems ailing the global economy and identified it as a demand in the market. There is a gap between skills and abilities learned through established educational institutions and those required to get entry-level jobs. 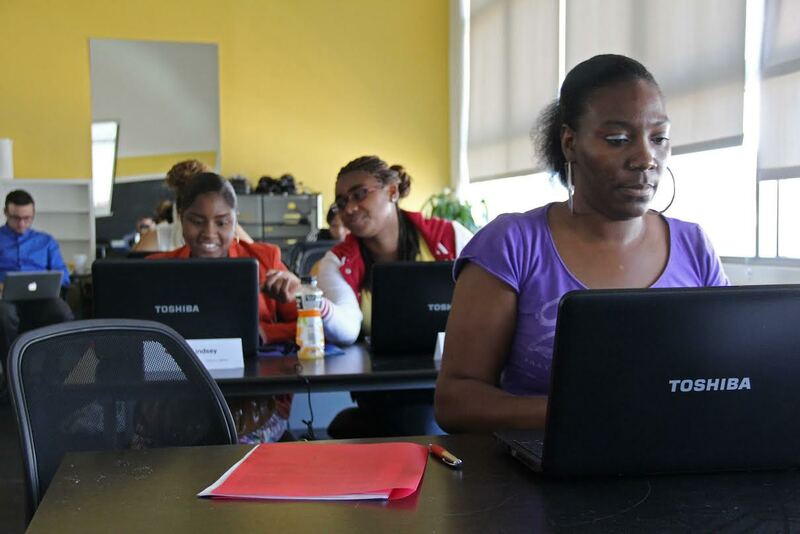 Many jobs require the ability to have access to and use a computer just to apply for them. Beyond this, learning basic skills in technology opens up a wide variety of opportunities for employment. The success of Samaschool has come with their abilities to meet this demand. But seeing a problem, and having inspiration does not necessarily guarantee success. For Tess, the driving force behind her venture, it is more personal than that. 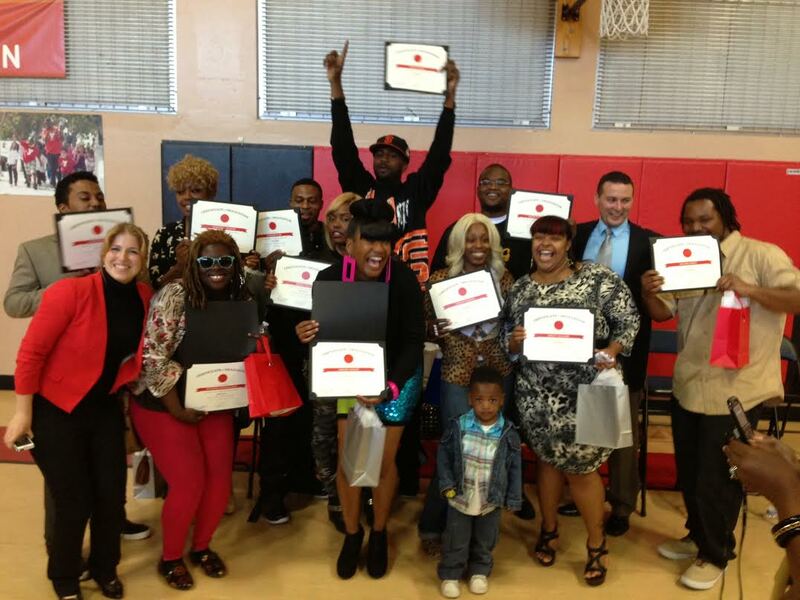 The most recent graduating class of Samaschool in San Fransisco. Tess with one of her students in New York City. So Tess went to school for social work. She chose to focus on social enterprise management. “How do you take business perspectives and apply them to a social impact space?” she wondered. Tess continued to do her work in New York City for a few more years and eventually she moved to San Francisco, California where she got a job managing an education program for foster youth. It was there that Tess discover an astounding statistic. 65% of youth who exit from the foster care program in California end up homeless. What Tess saw was young people who were resilient and talented, yet up against incredible challenges. Tess was introduced to Samasource, a program that helps low-income women and youth in developing countries. They were looking to start a new program in the U.S. and Tess was just the right person for the job. The timing was great, because Tess was very interested in applying technology to everything she had learned. local community colleges and other organizations to find computer labs that can be used as classrooms. Samaschool provides both online courses, as well as classes in person. When the students have completed their courses, they have a graduation day. Recent graduations at Samaschool have moved from a traditional graduation setting to a “Pitch Day” celebration where students present business pitches. As Samaschool continues to grow worldwide, it will be neat to see how the programs create a positive influence in the students lives, how it effects communities and the impact it will have on the global economy. This entry was posted in ideas, inspiration and tagged computers, digital, economy, education, girls in tech, low income, non profit, samaschool, tech, technology, tess posner, worforce, worldwide. Bookmark the permalink.